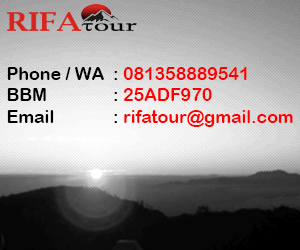 Bromo Sukamade Turtle Beach and Ijen Tour Leisure Package from Surabaya to for visiting Mount Bromo,Ijen Crater / Plateau, Sukamade/Sukamade Turtle Beach in order you can feel real holiday in East Java - Indonesia. Pick you up at Surabaya airport or hotel then drive to cemoro lawang after arrive at location bromo area and stay overnight in hotel and have dinner.Free program. At 03:30 am wake up you for prepare program Bromo Sunrise white use by jeep 4WD drive take 1 hours from hotel to pananjakan and then coming down to parking jeep area at caldera for see Bromo Crater by wolk climbing up after complited then return to hotel for shower and breakfast then prepare cek out hotel countinued to observation will take at leisure. Afterwards drive down and directly transfer you the extensive plantations of East Java and the mountain range of the Meru Betiri nature reserve to the protected Sukamade ‘Turtle Beach’. Lunch will be served at local restaurant. In this area you can enjoy pure natural view of a wild 3 kilometers sand strip on the Indian Ocean where species of turtles come ashore to lay their eggs. 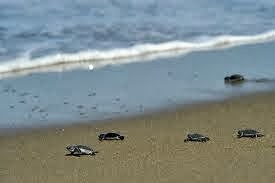 We will have enough time at night to return to the beach for observing Turtles when they come to lay their eggs. Conditions here are very basic, but more often than not visitors are lucky enough to come back with an experience that is both unique and bound to become exceedingly rare. Stay overnight and take dinner at the Lodge or Guest House in Sukamade take drive. free program. After breakfast in Sukamade Lodge and enjoy natural beach of green bay then drive to Kalibaru, the region of beautiful plantations coffee and rubber afterward proceed continue to drive to Sempol Ijen area and Stay over night and take dinner in Hotel.Free program. Day 4. 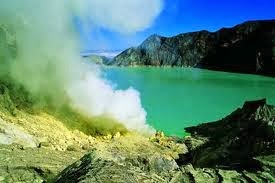 Ijen Crater/Plateau - Ketapang Harbor or Surabaya. 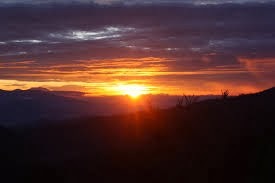 At 04:00 am wake up for prepare program to Ijen Crater after take have breakfast in hotel then directly to drive to paltuding post/parking area then you trekking up 3km or 1.5 hours by wolk,after arrive at peak ijen you will enjoy the stunning natural scenery with fresh air & shady. Resting on the edge of the crater at an altitude of 2883 meters and enjoy best panorama of the lake of sulphate where reflects spectacular view in the surrounding after completed enjoying at ijen coming down return to parking then directly to countinued towards Ketapang Harbor or Surabaya and program Package Bromo Sukamade Turtle Beach and Ijen Tour is ended.